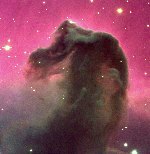 Welcome to Cyril Cavadore home page, a web site mostly dedicated to CCD ASTRONOMY, Telescope making and Photography. To know more about me ! This page is no longer updated (as Dec 2018). Nevertheless kept here. This link relates all the result we got with a CCD camera and a 200mm telescope during the famous August 99 Total solar eclipse in France. English version here. This is the story of the fabulous trip I did to observe the total solar eclipse in Libya. I was plunged into the deep desert to watch this great event ! This is a run I did while I was in Chile in 2005, using the facilities provided by A.Maury (spaceobs) , under one of the best skies in the Earth. Here is my results. Here are the observing runs I did using the observatory of my friend (L.Bernasconi). This later has produced gorgeous images of the sky using his 500mm F3 telescope. I like to observe in this place, the nature is really impressive and the place is full of charm.I use the 500mm F/4.5 telescope, as well as photo lenses. I knew this place since 1987 and fell in love of it ! This pages provides information for those who wants to observe a variable star and contribute to a research lead by profesionnal astronomers. This is a magic place, above the clouds, located at 2870 m of elevation. I spent there lot of time during the early 90s. I report here my observations in this place. This was the first time in my life that I carried out spectrography observations ! I used the Lihres spectrograph and my F/10 Intes telescope. This was an experience to remember !! It was discovered by the Schmidt telescope located at OCA, and by A.Maury int he late 90s. 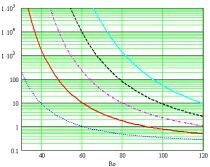 The turbulence effects are now well known, this paper explains the Fried radius, and all the parameters that counts for evaluating the turbulence effects with respect to a telescope aperture and atmosphere conditions. This is a 4Mb PDF file demonstrating that CCD imaging is possible even under a mediocre suburb light polluted site (In french). This page discuss about the light pollution from human activities and how it increases the Sky background in CCD images. Discussion undertaken to optimize the amount of images per exposures versus Signal to Noise Ratio. This is a not about star that can be used for AO. Bright star are not well spread on the sky to catch one for Adaptive Optics wavefront sensing. This page discusses about probability to catch a bright one in a given distance from the target. How to enable Pises Observatory for remote observations ? This is a pdf file that explains how Pises Observatory was upgraded to be able to be driven from thousant of kilometers appart, remotely. It aims at improving the telescope usage rate. Telescope making and Hardware designs Telescope making is a very nice hobby when the weather is not suitable for observing. It allows you to build your telescope for a real cheap price and to control the whole system. I have been making telescopes for 16 years, like Schmidt Cameras up to 300mm, Newton telescope up to 400mm. This involve the knowledge of mechanics, optics, electronic and computer programming.. a real challenge where improvement is always possible due to technology changes. This page is the index to many pages that are describing all the constructions phases of a 250 mm telescope. This telescope has to fulfill the requirement of being able to observe alone over the whole night. Currently, this is the telescope I am employing mostly. G11 have mount have been tested here. Installed drives are MCMT II system. The mount is performing very well and tracks very well the stars. Periodic error is minimized. Telescope optics Telescope optics is a very attractive field, as well as designing optical systems using ray tracing software like Zemax, manufacturing the parts and makes the sky test. I have been involved in this field since 1985. Schmidt plates, correctors, main mirror are fields that I used to enjoy to polish. I have also worked on Shack Hartmann devices. Shack Hartmann system has been built and is used on the Sky to characterize turbulence and optical systems performance. Detectors and CCD systems This is a fascinating field: the CCD detectors used for Astronomy. Say that, 20 years ago, a film had quantum efficiency of 2%, whereas the CCD has now up to 80%. CCD has revolutionized the way of doing Astronomy, allowing amateurs using a 20cm telescope to compete with 4m telescopes when they were using photographic plates in the late 60s. This is a field where I've being working professionally for. 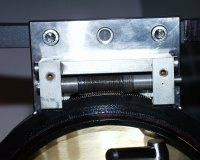 This section provides a comparison between the Kodak Kaf1602E and Marconi47-10 CCD for deep sky imaging in Astronomy. This link gives hints to make you mind up about these two great CCD devices. A test with a Sony firewire camera mounted into a long focal length telescope. An expensive but capable camera. The use of interline CCD can avoid the use of an expensive mechanical shutter. This electronic shutter can leak a bit... see how much. Old KAF sensors does not have blooming protection, see how this is impacting image quality with bright stars. 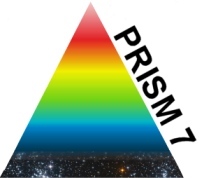 PRISM software Prism is an Astronomical image processing and sky Atlas software that I have been writing since 1992. It's been used worldwide. This is the link where you can register to the forum to share information. Thiscan help you to overcome problems related to PRISM and share your experience. Ascom drivers are used widely and can support a lot of hardware (filter-wheels, dome, telescopes, focusers and CCD cameras). This links explain how to setup Prism to use ASCOM interface. This page recommends the nicest script editor that can be used to edit PRiSM script. Color syntax is supported. PAP98 is an old version of PRISM that can be loaded here. It comes with all the features for free. Just download and install! This page explains how to read CPA images format (source code and DLL included). Cleaning a CCD image from the bright star blooming can be a nightmare... This is presenting how PRISM can deal with that and perform image cleaning from blooming. This provides additional help to Prism software use. Electronics Designs Electronic design is part of telescope making, it starts by driving RA/DEC axis of telescopes, proceed to assistance to focusing, to drive a dome, to drive a CCD camera, etc etc.. Electronic is nowadays unavoidable to point the telescope towards an invisible target, achieve automated telescope. This section will provide general purpose designs, as well design related to telescope driving. This is an electronic system that allows to synchronize a Dome with a Telescope. It takes into account that the telescope Pier is not at the center of the dome. This has been deployed at Pises Observatory and Valmeca. It works very well with PRISM also. MCMT II is system that turns your telescope into a GOTO telescope. Based only on step motors. Telescope up to 600mm can to point everywhere in the sky. Have a look, it worth to be seeing. The current EOS remote control system provided for performing astronomical images is insufficient. This page shows a system developed for the purpose of achieving long exposures images allowing total control from a PC. Weather, climate and all SKY systems What could be Astronomy without any basic knowledge of weather forecast and climate ? Since weather is an important component of astronomical observation, it disserved its whole section. Also, additionnal information is put here about cloud sensors, all sky camera, that are now common use in Astronomy. Whole Europe “Sunniness” data is quite impossible to find. So based on satellite images I have made my own statistics for year 2001. This pages explain also the method to achieve these results. This sections shows a whole set of charts related to France climate and its sunniness. This is the data compiled by Meteo France for many years. Free software for handling data created by Lacrosse 3600 Weather Station . This is a design based on an infrared sensor to measure the cloud coverage. It does as well magnitude per arsec square measurments, wind, temperature humidity.. A lot of work ! This section points to a web page that summarizes the weather conditions in the place I live. Also measure the cloud coverage with a cloud sensor with an IR sensor. I was wondering if the camera could perform well to be used as an all Sky camera. You get the reply if you click on the link above. By clicking here, you will access the index web page to all other sections related to my pictures. Updated by Cyril Cavadore, all right reserved. Ask for authorization to use images and documents. To know more about me and my professional path, have a look here.